Google Makes a Death Threat? 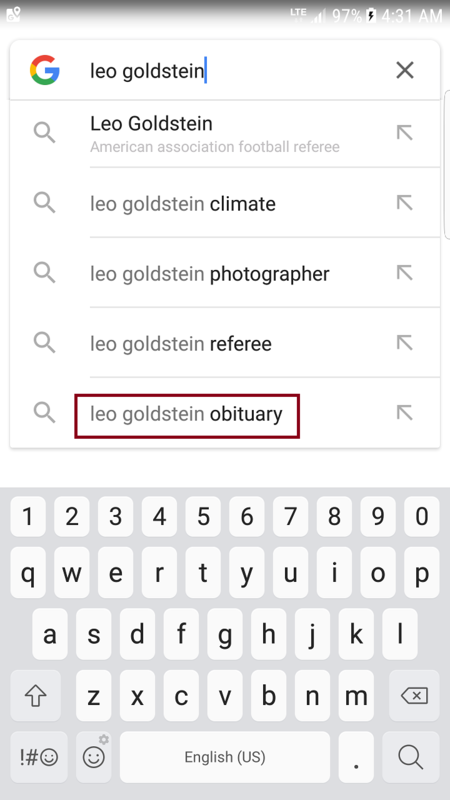 When I typed my name in the Google search on my smartphone Samsung S6, Google offered an auto-suggestion leo goldstein obituary. I qualify this action as threat, and demand from Google to cease and desists immediately. This message is considered delivered when Google crawls this page.